If war breaks out with Iran, the Islamic Republic would prefer fighting on foreign soil due to its outdated equipment, claim Israeli experts who believe Iran's nuclear program is a cover for its limited military capabilities. "Their most advanced aircraft is still the phantom, which we used in the Yom Kippur War 40 years ago," says Dr. Soli Shahvar of the Haifa University. On Wednesday, the New York Times exposed a Pentagon intelligence report which suggested that in 2008, the Iranian military was so wary of an Israeli attack it fired on its own aircraft. 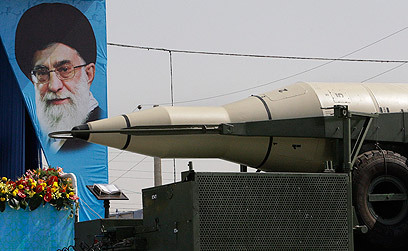 Iran's leaders may not miss a chance to threaten Israel but its ability to realize those threats is almost non existent, experts claim. "As far as conventional technological capabilities, Iran is behind 30 years," Dr. Shahvar explains. "Aware of this handicap, Iran has been smart enough to develop a-symmetric warfare methods and this is a successful strategy indeed. 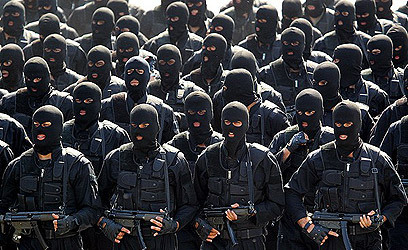 Iran operates elements such as Hezbollah, Hamas and the Islamic Jihad and goes unpunished." What it lacks in military capabilities, Iran makes up in satellite and nuclear energy development based on collaboration with North Korea. "Iran is technologically advanced, but that doesn't win wars on the battlefield," Dr. Shahvar says. But the ayatollahs are good at playing the game. Iran frequently releases images from military parades, missile tests and large-scale air and navy maneuvers. "It's mainly a game of deterrence," says Dr. Emily Landau of the National Security Studies Institute (INSS). "Iran has a tendency to constantly report about its military advancements but its de facto capabilities are unimpressive. Conversely, it is very advanced as far as missile technology." Landau claims that for these reasons, Iran uses its missile technology to create deterrence but at the same time tries to avoid missile warfare on its soil knowing it will not be able to respond. "Based on its conduct in the past decade, Iran is signaling that it has no interest in a war on its own soil," she says. "Iran's use of Hezbollah and Hamas coupled with its nuclear program proves it is ready for battle, but on foreign territory. " Landau estimates that Iran will not risk any escalation on its soil knowing that the US is far superior in terms of military capabilities. "If a country obtains a nuclear weapon, it should not be so concerned over its military capabilities." Meir Javedanfar of the Interdisciplinary Center believes that even if Iran meets its nuclear goals it would still not be strong enough to confront the West. 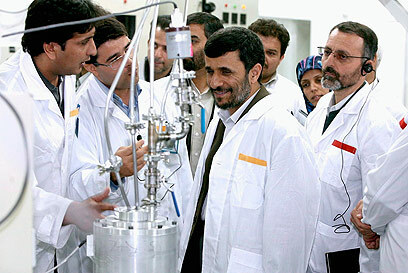 "I don't believe Iran has the amount of centrifuges it claims it has. If it does, they are 1970s centrifuges," he says. Javedanfar claims that Tehran puts up a front mainly due to domestic reasons. "The regime has to show the people how strong it is, particularly after the 2009 coup attempt. They also need to show their Shiite allies in Iraq, Lebanon and in Hezbollah that they're a superpower. In reality, Iran is years behind in a military sense." He estimated that the crisis over the country's weakening economy will affect both its military and nuclear capabilities. See all talkbacks "Experts: Iranian military stuck in the past"